Special hours may apply when school is not in session. Please call before visiting to insure access. 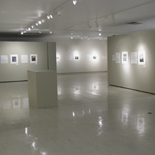 Located on the first floor of the Greenhill Center of the Arts, 950 West Main Street on the campus of the University of Wisconsin-Whitewater. © 2016 Crossman Gallery. All Rights Reserved.